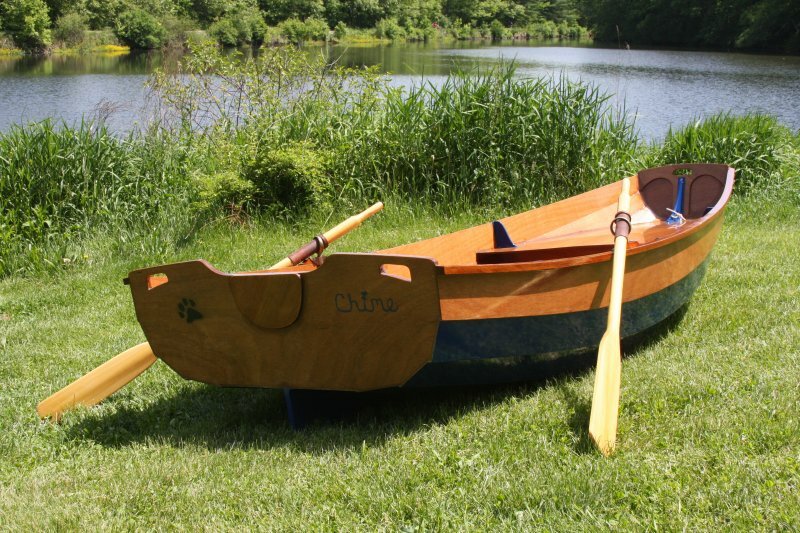 CHIME (it’s a little dinghy) is a Chesapeake Light Craft Passagemaker Dinghy. The kit was a family gift, and building help came from all of our children and kids, and Captain Hook (our dog, who endured many hours on the garage floor watching epoxy dry). 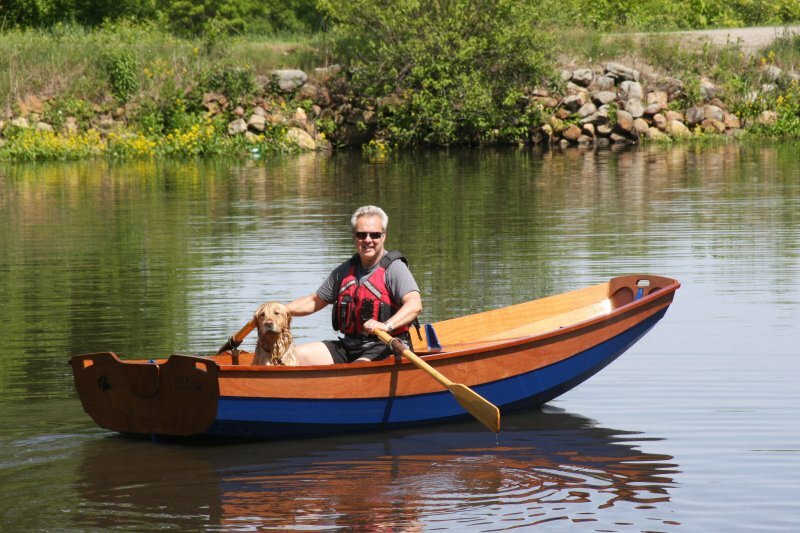 She will explore protected canals, lakes, and rivers in Rhode Island and Massachusetts. Pictured at the River Bend Farm on the Blackstone Canal in Uxbridge, MA.